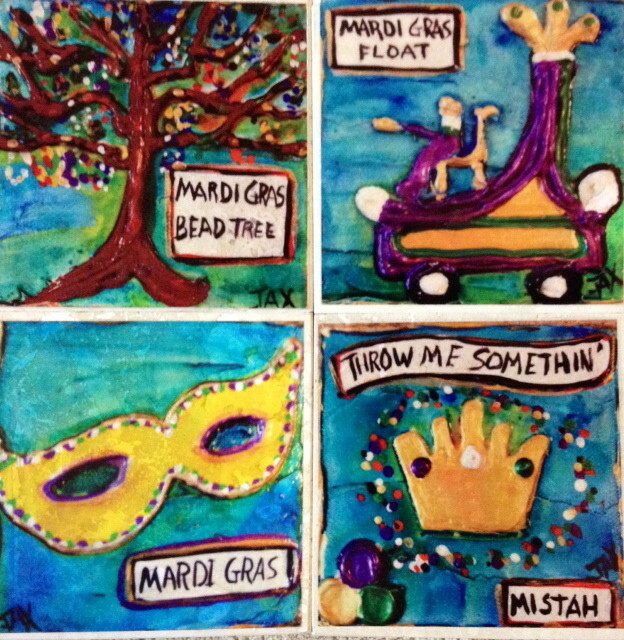 Jax's Tile Coasters, using Jax's art images, are the perfect accessory for your next get - together or for when you need a hostess gift. There are four coasters in each set, which is attractively packaged and topped off with Jax's signature red bean! Treat yourself! Clicking on the Purchase button will bring you to Jax's online store. 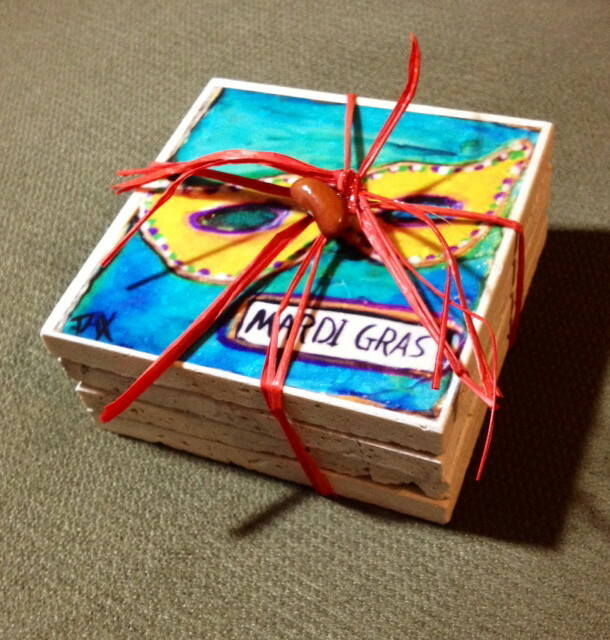 New Orleans Mardi Gras Coaster set - includes: Mardi Gras, Mask, Bead Tree, Parade Float & Throw Me Somethin', Mistah!